You are here: Home >>About us >>Who are we? Danny Green was born and still lives in Leicestershire UK. He became interested in nature from a young age and was very rarely at home, always wandering the woods and rivers looking for wildlife. Some 30 years on and he is still a restless and keen professional photographer. His images are regularly published in magazines like BBC Wildlife, the RSPB’s Natures Home and Outdoor Photography and in 2014 had his first full feature published in National Geographic. He is also represented by some of the leading picture agencies including RSPB Images, NaturePL and NHPA. Danny has received numerous awards for his photography; several of his images have been awarded category winners in the prestigious Wildlife Photographer of the Year Competition, he was the overall winner in the IWP awards in 2007, in 2009 won the Bird Category in Natures Best and has had a number of Highly Commended images in the European Wildlife Photographer of the Year. Mark Sisson is a professional nature photographer who lives in Shropshire, UK. He is widely published and his images regularly appear in magazines such the RSPB’s Natures Home, BBC Wildlife, Wild Planet Photo Magazine, Birdwatching and a wide range of countryside publications. He has had 4 books published including The Secret Lives of Puffins and Bird Photography: Art and Techniques. He also regularly presents to camera club and local wildlife groups with the aim of inspiring photographers to get out and enjoy their photography of the natural world. Mark is represented by a number of the UK’s leading image libraries including the RSPB Images and FLPA. In 2011 he won Outdoor Photography Magazine’s Photographer of the Year, hot on the heels of winning the first ever Video category in the British Wildlife Photography Awards along with Highly Commended images in both 2011 and 2010. Paul Hobson is a wildlife photographer whose main aim is to raise awareness of Britain’s wildlife through his photography. 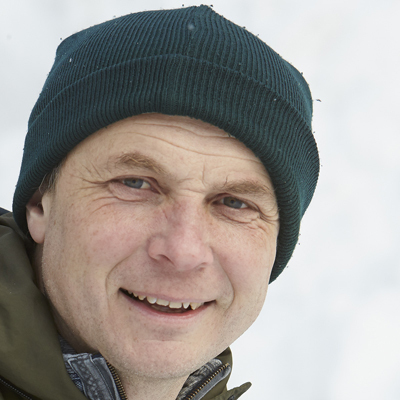 Paul often focuses on wildlife conservation issues and works for a number of wildlife conservation bodies such as Natural England. Paul was Amateur Photography Magazine’s wildlife photography expert and he writes a monthly article about Peak District wildlife for Derbyshire Life. 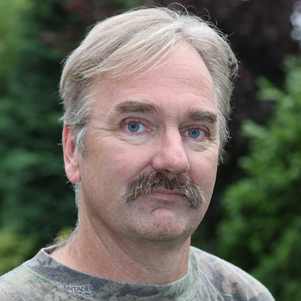 He is the author of Wild Derbyshire and is working on producing his second book at the moment. His images and articles are featured regularly in BBC Wildlife, Birdwatching, Birdwatch, Outdoor Photographer and Natural World. Paul has been awarded many prizes for his work, including Specially Commended in the Wildlife Photographer of the Year, category winner and Highly Commended in the European Wildlife Photographer of the Year and he has had many images commended in the British Wildlife Photographer of the Year. Edwin Kats was born and still lives in the Netherlands. 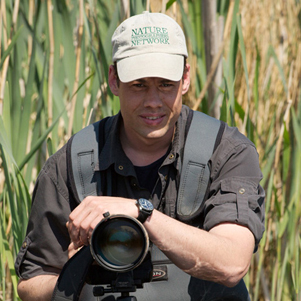 He is surrounded by forest, water and farmland which offer him lots of possibilities to capture the wonderful flora & fauna of his country, and since 1992 he has become a specialist on native Dutch wildlife. His approach is very much of detailed preparation and long term projects. 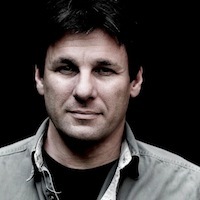 David Lloyd is a photographer of wildlife from New Zealand living in London. He prefers a fine art style of wildlife photography, choosing to appeal to buyers of framed photography. Although he has a preference towards black and white prints, colour also features strongly too. David has seen his images published widely, in the press and in several photographic monthlies. He has also enjoyed success in major competitions including finalist placings in the European Wildlife Photographer of the Year, Natures Best, the British Wildlife Photographic Awards, and the Veolia Wildlife Photographer of the Year competition on several occasions, highlighted by his black and white picture of a giraffe being chosen for that year’s annual portfolio cover. 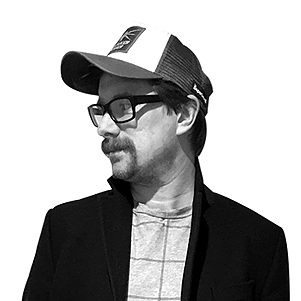 David has more than twenty years of knowledge in digital processing and printing, with Adobe Lightroom being is his predominant processing tool today. 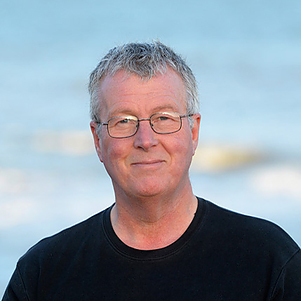 Chris Gomersall is one of the UK’s best-known wildlife photographers, with a 30-year track record of professional activity, including 14 years employed as in-house photographer at the Royal Society for the Protection of Birds (RSPB). He continues to work as a freelance photographer of birds, wildlife and the environment, and has undertaken commissions for WWF (UK), Natural England, the Environment Agency, and BBC Wildlife magazine, amongst others. Chris’s work has won recognition in numerous international competitions, and in 2007 he was proud to be named as the European Wildlife Photographer of the Year. 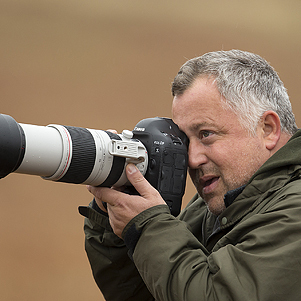 As well as being the author of several books on wildlife photography, Chris is a very experienced tutor and trainer, leading tours and workshops at home and abroad. He acts as a training partner for Nikon (UK) Ltd, and has delivered workshops for institutions such as the London Natural History Museum, Cambridge University Museum of Zoology, and WildPhotos. He is also honoured to be invited as a visiting lecturer by the photography faculties at University College Falmouth and the University of Nottingham. Recently, Chris was chosen as one of twenty photographers for the ground-breaking 2020VISION project. Ellie Rothnie is a professional wildlife photographer based in Powys. She has been awarded in various competitions, most recently in the Festival de l’Oiseau, Natures Best-Yellowstone and British Wildlife Photography Awards. 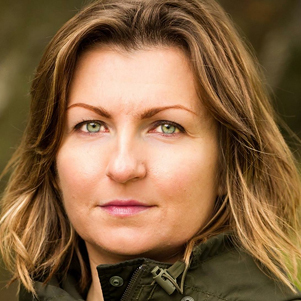 Ellie’s career began in marketing & advertising, and in 2007 she began to focus her passion on wildlife photography which led to Ellie becoming a full-time photographer and guide. 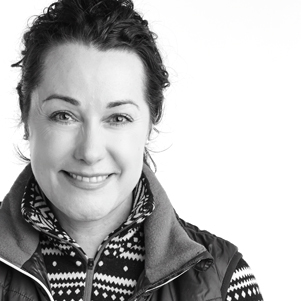 Her work is regularly featured in national press and magazines in the UK as well as advertising campaigns in Europe. She photographs both in the UK and overseas, and has travelled many times to focus on species in east Africa, North America & Europe. One of her ongoing projects is with the charismatic Dalmatian pelican of Lake Kerkini. Sylwia Domaradzka is a London based wildlife photographer. Self-taught, she has acquired a range of techniques to photograph her subjects. Her interest in nature photography was borne out of experiences during her travels, which alerted her to serious environmental issues the world is facing right now. While at first she aimed to travel far, she soon came to realise the value of her local surroundings. She now tries to photograph as much as possible in the UK as well as her native Poland. web pages of National Geographic. Tom is a professional fine art wildlife photographer based in Buckinghamshire. He has been awarded in various competitions including the European Wildlife Photographer Of The Year competition with his image ‘Dragon Duel’. His work is widely published and he is a contributor to the BBC Wildlife Magazine. Tom exhibits his work around the UK in galleries and exhibitions as large framed prints. Tom photographs both in the UK and overseas. Projects have seen him work with Blue Whales in Sri Lanka, Meerkats in the Kalahari Desert and Mountain Gorillas in Uganda. Neil McIntyre is based in the Cairngorms National Park in the Scottish Highlands. A professional nature photographer who almost exclusively works on species and locations in the Scottish Highlands. His work is widely published in various magazines like the BBC Wildlife and used by organizations like Scottish Natural Heritage , VisitScotland and the John Muir Trust. Over the years he has been a category winner several times and other images highly commended in the Wildlife Photographer of the Year awards and the British Wildlife Photography Awards. Neil has also had pictures used in over 25 books across Europe and beyond. He also regularly does talks and presentations to clubs and groups throughout Scotland. 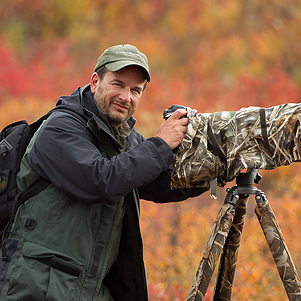 Stan Tekiela is a full time professional wildlife photographer / naturalist and author based in Minnesota, USA. 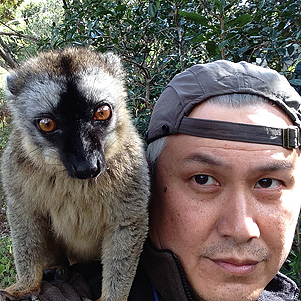 He is a trained wildlife biologist and author and photographer of over 150 books on wildlife. 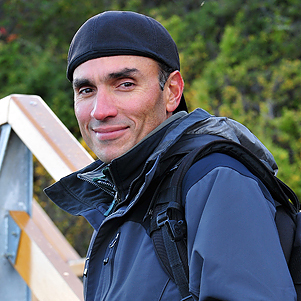 His knowledge of North American wildlife allows him to capture nature at its best. Over the past 30 years he has traveled North America photographing and writing about all aspects of wildlife from tiny shrews to black bears and moose. He writes a syndicated newspaper column about wildlife that appears in dozens of cities across nine states. Stan’s images appears in magazines and books all across North America. He has received numerous awards for his books and photography. Richard Peters is a Surrey based professional wildlife photographer and Nikon Ambassador, with a style that often favours dramatic light and contrast. Through capturing a combination of mood, tones and atmosphere within his images, Richard’s work is regularly published in the UK’s photographic press and beyond. Alongside taking images, Richard hosts talks about his work at venues which have included the Natural History Museum in London and some of the largest trade events in the UK including the Photography Show the BirdFair and even further afield such as the Lowlands Photo Festival in Antwerp. 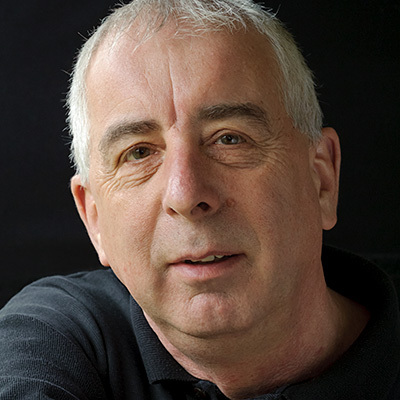 Richard has contributed images to support projects for organisations including the Born Free Foundation and the Jane Goodall Institute and, over the last 5 years, his work has been awarded multiple times in many international competitions, including twice in the Wildlife Photographer of the Year, plus being named the European Wildlife Photographer of the Year in 2015. Des Ong is a full-time wildlife photographer based in the UK. Born in the tropics, he grew up with a firm interest in nature. His love of art began during his teenage years where he practiced watercolour. Wildlife photography is a combination his two passions – art and nature. It is his artistic expression of the natural world. Even though Des feels most at home in the rainforests, he is equally adapted to the cold northern environment. As such, he is a tour leader to such destinations as the snowy mountains of Norway to the hot arid landscape of southern Madagascar. Des’ work is widely published and has been awarded in various competitions such as the British Wildlife Photography Awards (BWPA), International Garden Photographer of the Year Competition, and Friends of the Earth Renewable Energy Photo Competition. Terry has been a professional photographer since 2000, following a career in zoos and wildlife conservation around the world. Specialising in the relationship between people and nature, commissions and personal projects include the Asian wildlife trade, endangered primates in Vietnam, urban nature and wildlife habitat restoration in the UK. His images and stories are published worldwide in BBC Wildlife Magazine, Geographical Magazine, Time, National Geographic Kids and Ranger Rick. Photos have been used in a wide variety of media including books, scientific journals, apps and wildlife trade information posters. His work is represented globally by leading image libraries, FLPA, NPL and Minden Pictures and he is a contributor to Wildscreen ARKive. Awards include honourable mentions and highly commended in European Wildlife Photographer of the Year and Wildlife Photographer of the Year and category wins in British Wildlife Photographer of the Year and The British Photography Awards. He was a member of 2020VISION, an ambitious project to communicate the benefits of a healthy environment to our own well-being. 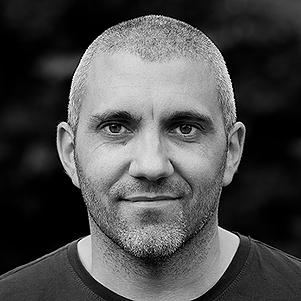 Tom is a professional director of photography and filmmaker based in Shropshire. 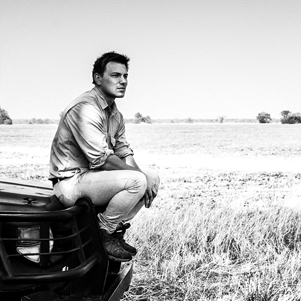 Tom’s career spans from working for international productions companies in London. After years of Working in marketing, distribution and post production, Tom and his wife then went freelance starting their own company and settling in Shropshire. Tom’s passion for capturing the outdoors is abundant in a portfolio of over 300 brand commercial films, and aerial cinematography. His camera work has also been featured on several BBC One and Channel 4 nature and documentary programmes. James Shooter is an established photographer and filmmaker based in the Cairngorms National Park. 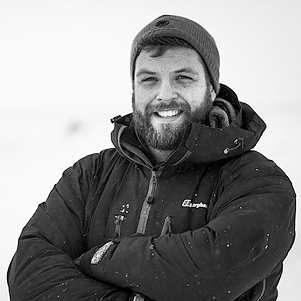 He has guided photography trips across Scotland and overseas for several years and has a passion for communicating conservation stories through a variety of different media. 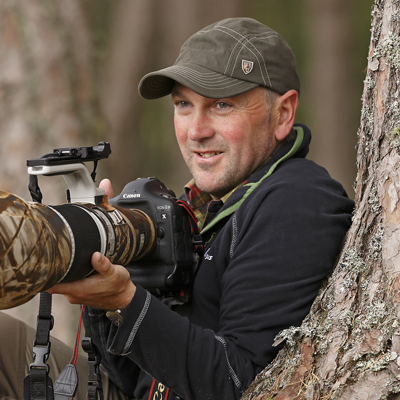 James is a director of SCOTLAND: The Big Picture – a team of dedicated photographers that produce compelling visual media to promote the benefits of a wilder Scotland for people and wildlife. Although most of his photography is done close to home in the highlands of Scotland, James loves to travel and enjoys showing people the amazing wildlife that can be seen around the world.